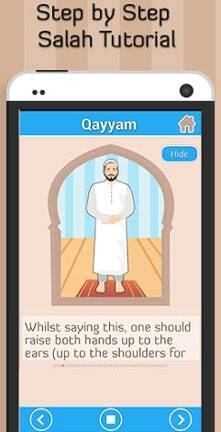 Step By Step Salah is an app that helps Muslims in performing their daily obligation of Salah in the rightful manner. The app is an excellent solution for new Muslim converts as well as kids who have recently started offering prayer and want to know the right way of offering it. 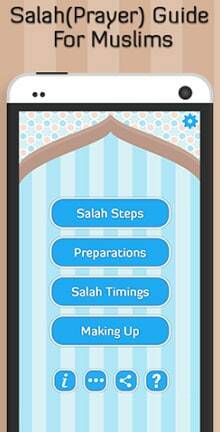 The app is a detailed guide pertaining to all the requisites and questions related to offering Salah. Salah Timings – This category tells a user about Salah timings in the particular region with all the details. Making Up – This category deals with briefing the users about the concerns they have pertaining to making up for missed Salah or if any mistake is committed while offering it. This category gives a detailed description of what a Muslim needs to do in order to make up for the mistake or missed Salah. Step By Step Salah is the best app you can have on your Smartphone to educate yourself and know more about the rightful way of offering Salah. Please feel free to share your valuable suggestions and feedback to help us improve the app.